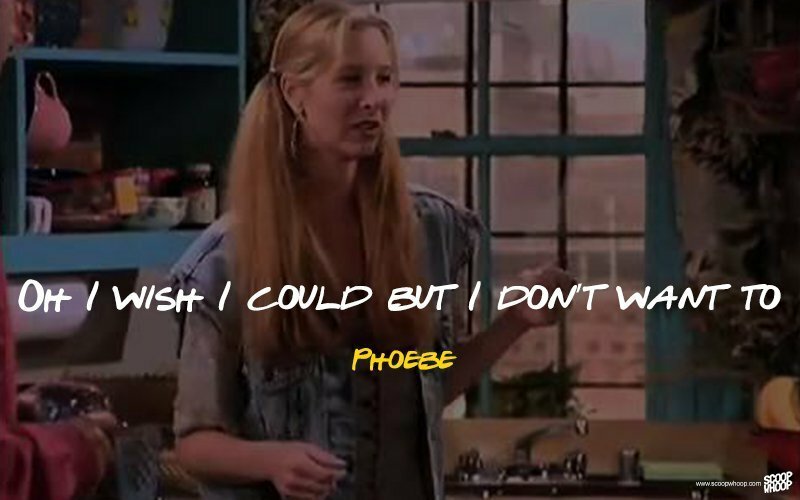 Phoebe Buffay; the mad, weird, sensitive, singing, vegetarian and hilarious character from Friends we adore. What is it about her that is so darn cute?! Is it her upright honesty or her inexplicable weirdness or her songs? Whatever it is, Phoebe puts a smile on every fan’s face. And although she may not be the so-called most loved popular character on Friends, she does hold a special place in our hearts. It isn’t just because she is unique in her own weird way (too much weird), but also because she has always turned out to be that friend we always want, but is tough to get. In case you are one of those who adore the rest of the characters a tad more than Phoebe Buffay, we tell you why exactly you need a Phoebe in your life right now. These are the rarest of the rare species, no? 1Who else will sing songs to you? 11Who else can have such an epic sense of fashion? 15To learn how to run correctly! If you have one in your life; tag him/her (Phoebe/Phoebo) and let them know they are special.